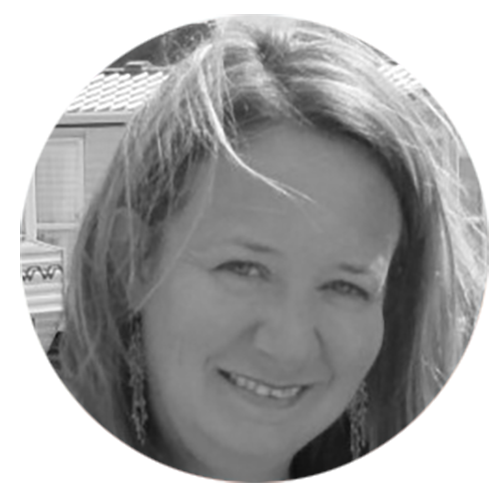 Tracey Birchwood graduated in 3-Dimensional Design from Brighton University where she majored in ceramics. She grew up in Manchester and after her degree it just felt right for her to move back home. 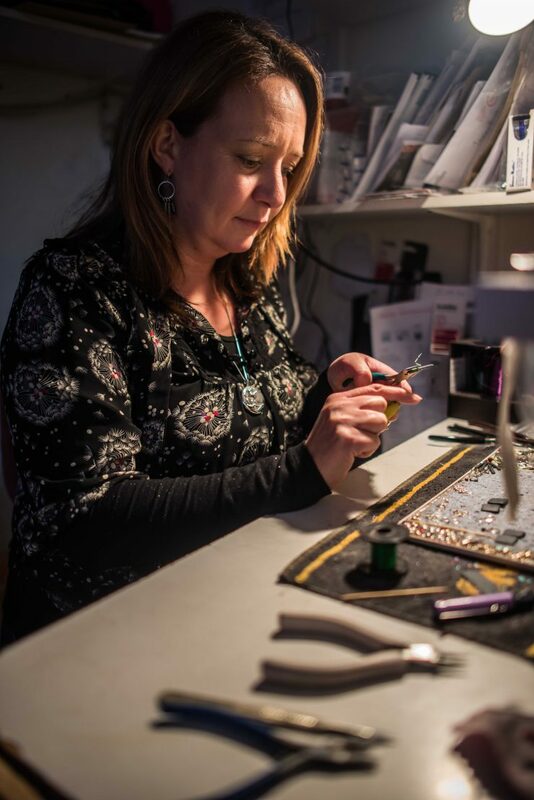 Tracey loves to make fiddly things so making jewellery was such a natural progression. Her work has developed from porcelain vases to porcelain pendants. 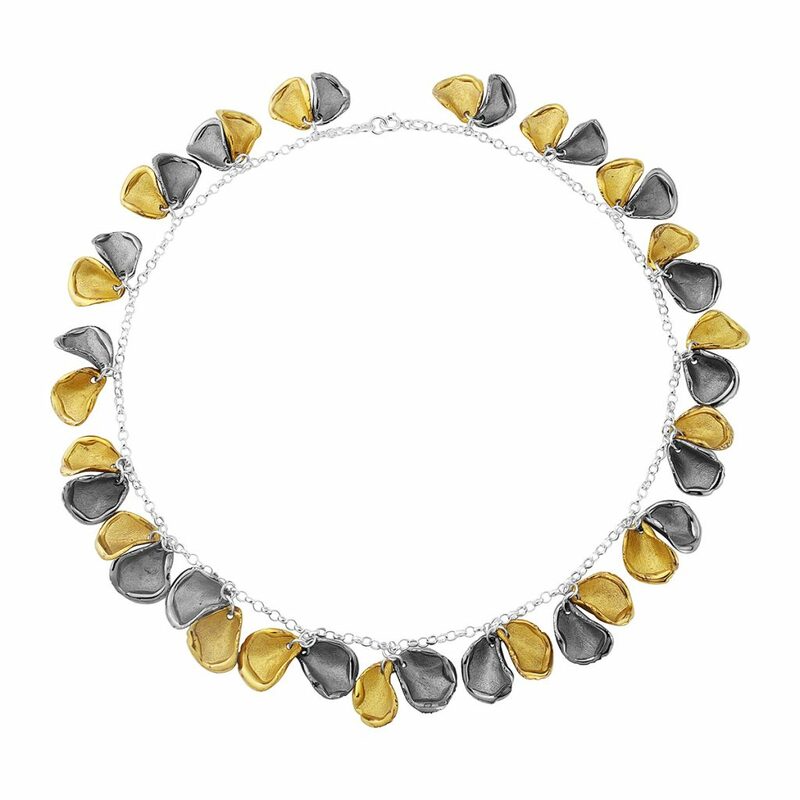 Her jewellery designs are very geometric and she always uses repetition in her work. She thinks the maths ‘A’ level has a lot to answer for! Consequently, making things all neat and evenly spaced out is a must! 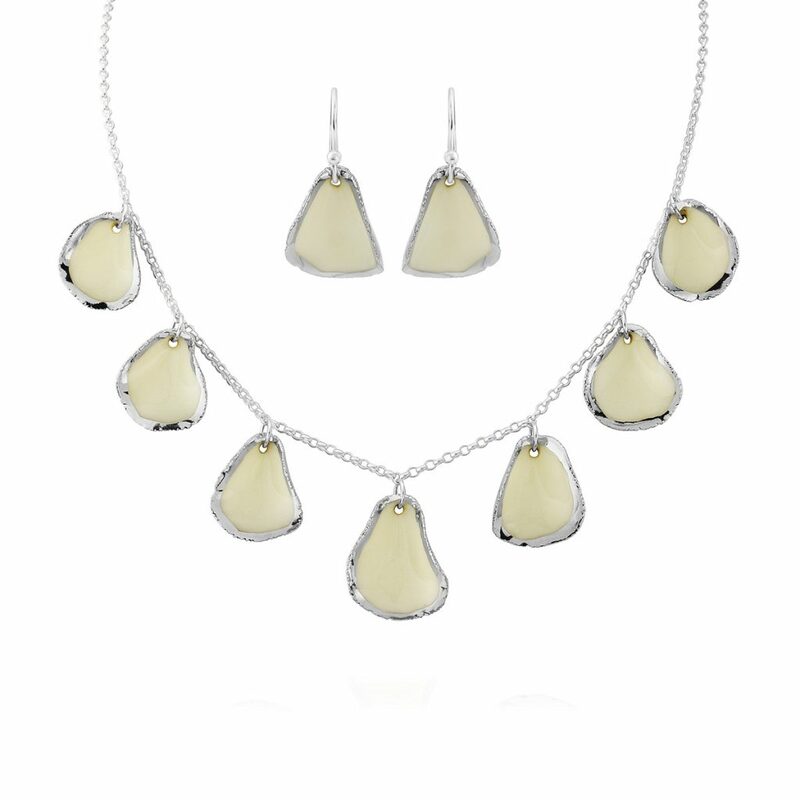 Tracey’s new jewellery collection for Heart Gallery is made from delicate handmade porcelain petals. 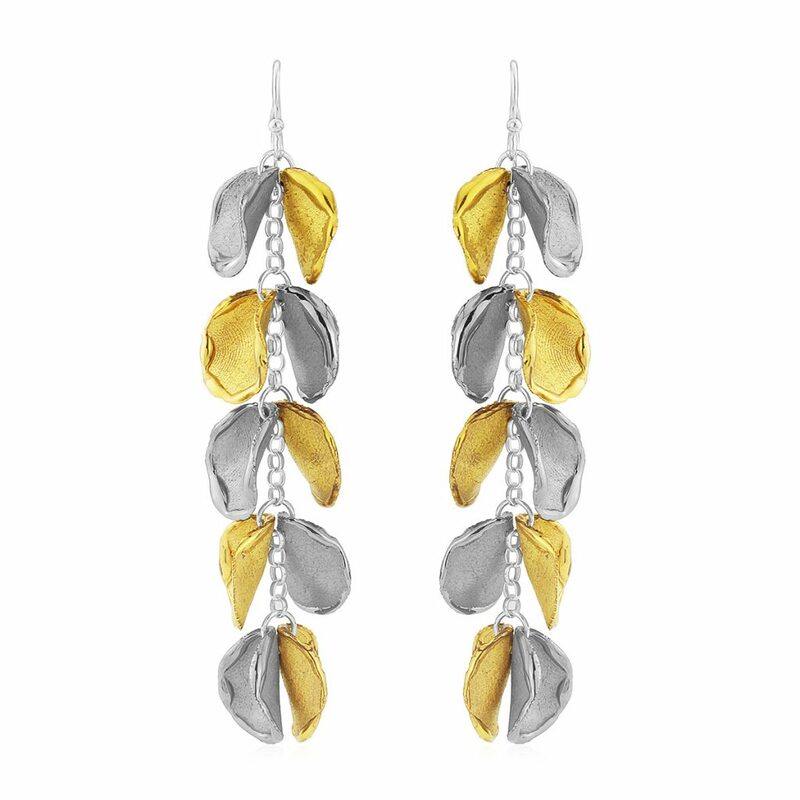 These are then decorated with platinum, gold & mother-of-pearl lustres. Tracey intricately joins the petals together to form each finished piece. All of the individual little petals are hand formed out of porcelain and hand decorated. Therefore ensuring that no two are ever alike. 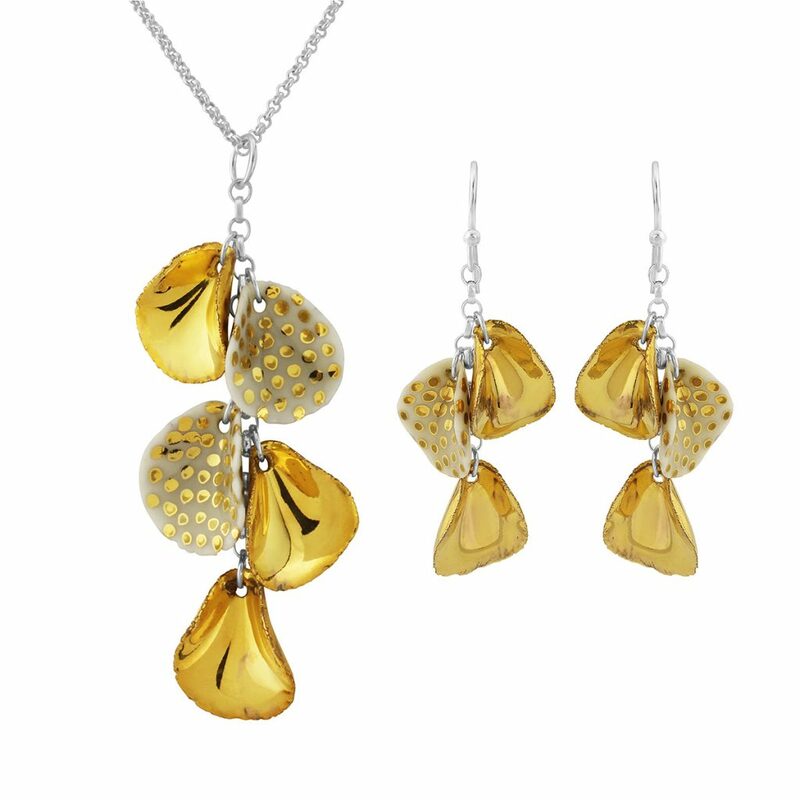 The collection includes necklaces, pendants, earrings and cufflinks. 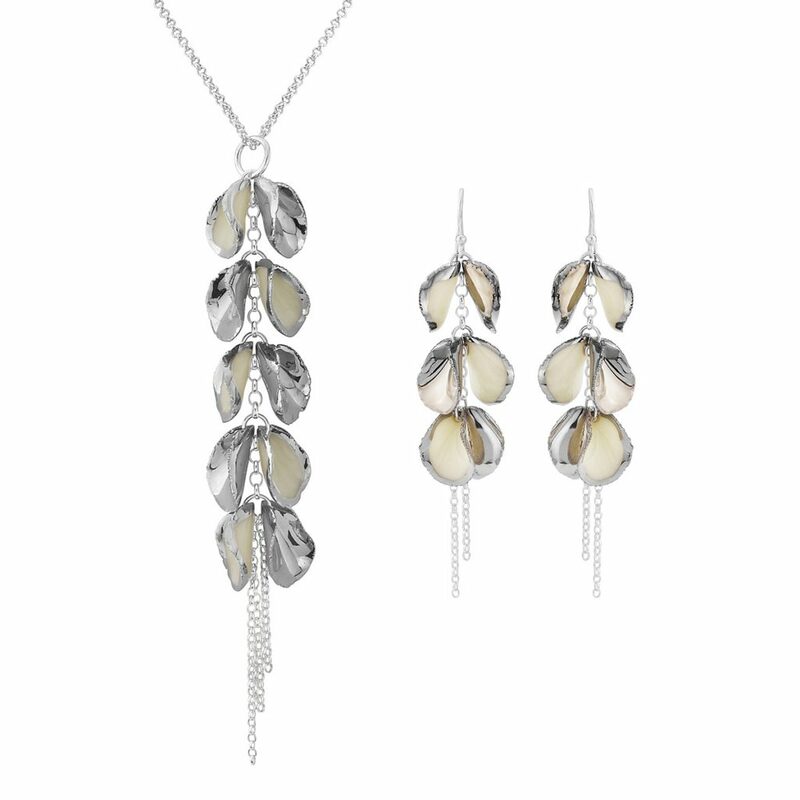 Baby seed pearls and semi-precious stones compliment some of the pieces. The inspiration for this collection came from spending hours in her garden surrounded by an abundance of beautiful climbing roses! We are delighted Tracey is with us for CHRISTMAS AT HEART, which runs until 20th January 2019. You can follow her on Instagram.